Discover East Africa's gem, with sparkling lakes and forest-clad volcanoes, home to the mountain gorilla. Don’t let the size of Rwanda fool you — only slightly larger than the state of Vermont, it packs a punch with a remarkable variety of landscapes, diversity of wildlife, and rich, modern culture. And on this Special Departure itinerary, we explore all three in equal measure. 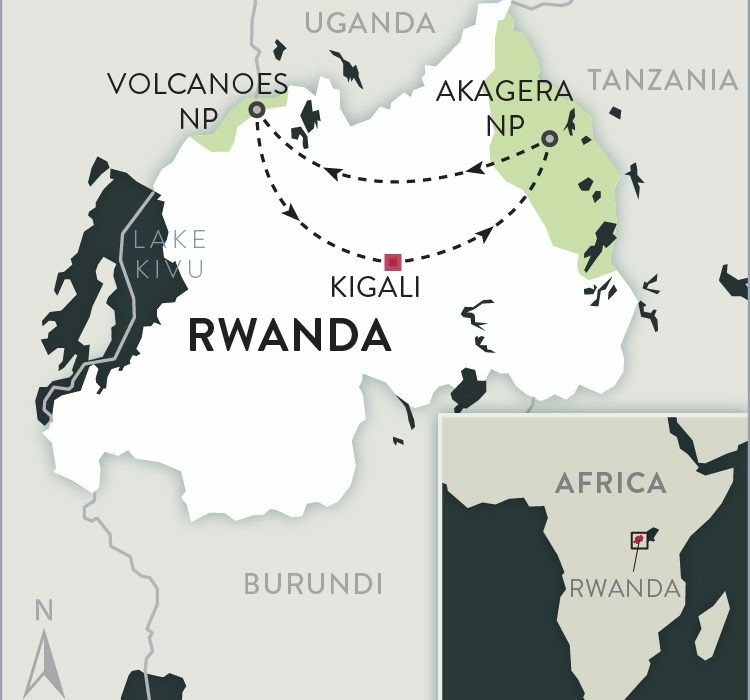 Perhaps best known for the endangered mountain gorillas found on the jungle-clad slopes of the Virunga Mountains, coming this close! to the largest primates on earth and witnessing their natural behaviors in their protected habitat will perhaps be the most unforgettable experience of your life. Yet, this beautiful country offers much more for travelers who seek to venture away from the more famous safari destinations and journey to a lesser-known place. Akagera National Park is referred to by safari insiders as one of Africa’s prettiest, and serious conservation efforts in the past 20 years have resulted in a natural wonderland that is home to all of the "Big Five" — rhino, lion, elephant, leopard, and buffalo — and many other iconic species. Let us introduce you to Rwanda, the "Land of 1000 Hills," where unexpected beauty and surprising moments await you at every turn. 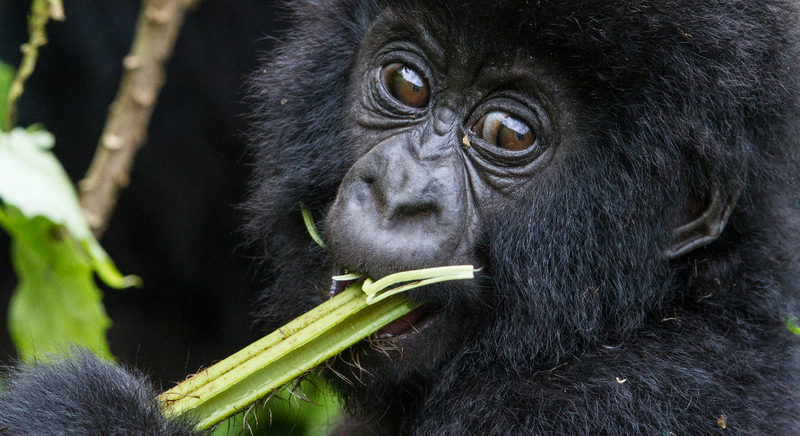 Choose to spend one or two days observing the incredible endangered mountain gorillas in the wild. Enjoying game drives, safari walks, and a boat cruise in Akagera National Park, home to the Big 5 and a diverse range of other wildlife. Observing the golden monkey foraging for bamboo and leaping from tree to tree. Exploring local markets, museums, and restaurants in Rwanda's capital city of Kigali. Taking in the beautiful landscape of this "Land of 1000 Hills." Visiting with the long-horned Ankole cattle, or "cattle of kings," whose lineage dates back thousands of years. 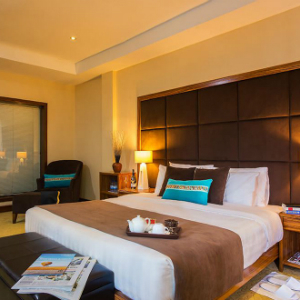 Upon arrival of your flight into Kigali International Airport, you will be met by a Boundless Journeys representative who will transfer you to our hotel for the next two nights, a simple but well-run small boutique hotel conveniently located in a leafy neighborhood in Kigali. We gather for a welcome dinner at the hotel this evening. Perched atop an ideal vantage point across from the garden city of Kigali, UrbanCity by CityBlue is just 15 minutes from the airport and almost all other areas of Kigali. The hotel features a rooftop bar and in-room Wi-Fi and safes. While the history of Rwanda dates back centuries, the tidy city of Kigali has been a part of it for just over one hundred years. Founded in 1907 as a German settlement, Kigali did not become the capital until Rwanda's independence in 1962, when it replaced the colonial seat of power in Butare. Since then, the city has seen major economic development resulting in what it is today: a vibrant African city of one million people. This morning, we embark on a city tour taking in Kigali's most important sights and monuments, including the Genocide Memorial, a moving visit sure to put all else in perspective. Established as a permanent memorial to the victims of the widely documented Rwandan genocide in 1994, it is a poignant reminder of the cost of ignorance. It serves as a place for people to grieve those they lost, and for visitors and younger generations to learn about Rwanda's history from pre-colonial times. Exploring further, it is inspiring to see how far the country has come in 25 years. The recovery has been referred to as a true testament to humankind's resilience. We stop at a craft center where you can haggle for unique Rwandan crafts and curios, and time permitting, we visit the Kandt House Natural History Museum, which covers both natural ecosystems in Rwanda and the intertwined Rwandan and German colonial history. We may also have time to tour Old Kigali where the colonial buildings now form the heart of Rwanda's small businesses. This evening, we enjoy dinner at a favorite local restaurant just a short walk from our hotel. This morning, we depart Kigali and head to the remote northern region of Akagera National Park. Our accommodation for the next three nights is the newly built Magashi Camp, situated in the wildlife-filled northeastern corner of the park, overlooking scenic Lake Rwanyakazinga. Upon arrival at the park's northern gate, we say farewell (for now) to our guide, board safari vehicles, and join the camp's naturalist guides for an immersive three days exploring this gem of a national park. 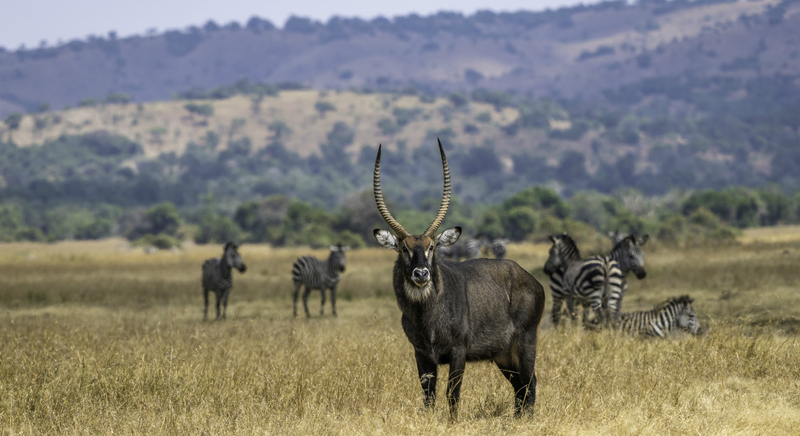 Akagera is comprised of incredibly scenic savanna — open plains, woodlands, lakes, swamp, and grassy hills — and is home to one of Africa's highest hippo densities, large crocodiles, and rare sitatunga antelope. But this is not all: far from much human influence, this area is pure nature. Teeming with plains game including zebra, buffalo, giraffe, and more, Akagera now also boasts a healthy population of lion, which were reintroduced in 2015 after a 20-year absence. Black rhino were reintroduced in 2017, and the area is also home to a healthy elephant population. Wildlife censuses taken in recent years have revealed that the north area of the park is the most prolific for a wide variety of species, and we have it to explore in almost complete solitude as Magashi is the only private access area in Akagera. 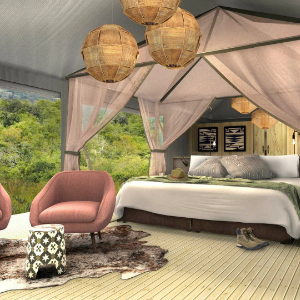 Our intimate, comfortable camp is influenced by traditional Rwandan design and includes a luxurious lounge, dining and bar area, wine cellar, and pool, as well as an expansive viewing deck with convivial fire pit. Newly constructed, Magashi is the only private access area in Akagera, and the camp is situated in the productive and phenomenally diverse northeastern corner of Akagera National Park. Six spacious and airy tented guest rooms offer uninterrupted views over Lake Rwanyakazinga, while Magashi’s main area comprises a luxurious lounge, dining and bar area, wine cellar, and pool, as well as an expansive viewing deck with convivial fire pit. The architecture and interiors pay homage to traditional Rwandan culture. Our days exploring Akagera typically include morning and afternoon activities, with a restful midday siesta back at camp in between. Activities (shared with other camp guests) depend on where the gameviewing is best and will likely include both day and nighttime game drives in open vehicles, nature walks, and even exploring the lake by swamp boat. A three night stay should allow a reasonable chance to encounter all of the Big Five (lion, leopard, rhino, buffalo, and elephant), as well as other iconic African species such as giraffe, zebra, hippo, and all manner of plains game. In addition, Akagera's varied landscape makes for prime birding habitat, with over 500 species having been recorded, including the gorgeous lilac-breasted roller, the grey hornbill, the crested barbet, Heuglin's robin-chat, black headed gonalek, and Ross's turaco, among others. But perhaps oddest and most exciting is the shoebill stork, whose giant bill and large stature make for a feeling of having encountered a pre-historic creature. Each evening, we'll enjoy swapping stories of the day around the campfire with our fellow explorers. This morning, we start early to begin our journey across Rwanda to Volcanoes National Park by making our way south through Akagera, perhaps encountering another pod of grunting hippos or the resident elephant herds en route. By late morning, we leave the park and head back towards Kigali. Aside from mountain gorillas and other wildlife, Rwanda is known for its pretty, rural countryside, where roads snake through terraced farmland. We'll stop at one of these farms and make a short visit to meet the owners and learn about their unique livestock, the long-horned Ankole cattle, known regionally as the "cattle of kings." 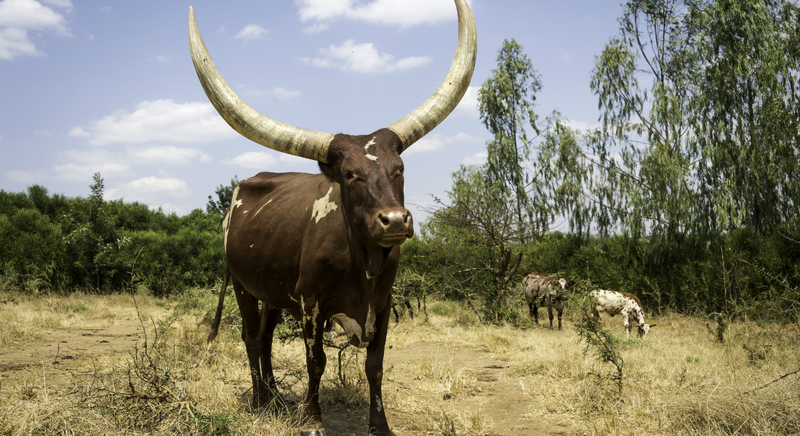 Considered Africa's most impressive domesticated animals, these hardy cattle are prized for their beautiful hides and outsized horns and are valued for many uses from dairy to dowries. We then continue west, towards Volcanoes National Park, about 4.5 hours away. As we pass through Kigali, we stop for lunch at another popular restaurant before covering the last 2.5 hours. By late afternoon, we arrive in Musanze, gateway to Volcanoes National Park, where Rwanda's remaining mountain gorillas live. 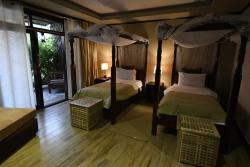 We have the evening at leisure to rest before our gorilla tracking adventure tomorrow. Conveniently located on the road from Musanze to Volcanoes National Park, Five Volcanoes offers 11 rooms, restaurant, pool, and verdant gardens. Rooms are basic but comfortable, with standard amenities such as hairdryers, in-room coffee making supplies, mini-bar, and wifi. After an early breakfast, we drive to Volcanoes National Park headquarters where we are assigned to a gorilla tracking group. After a briefing by our trackers, we continue to the trailhead for the start of an amazing adventure. This exhilarating trek in the footsteps of the rare and critically-endangered mountain gorilla, the largest living primate on earth, starts in the cultivated foothills of the Virungas with stirring views in all directions. Upon entering the park, we find ourselves immersed in the mysterious intimacy of the rainforest, alive with colorful birds and butterflies. 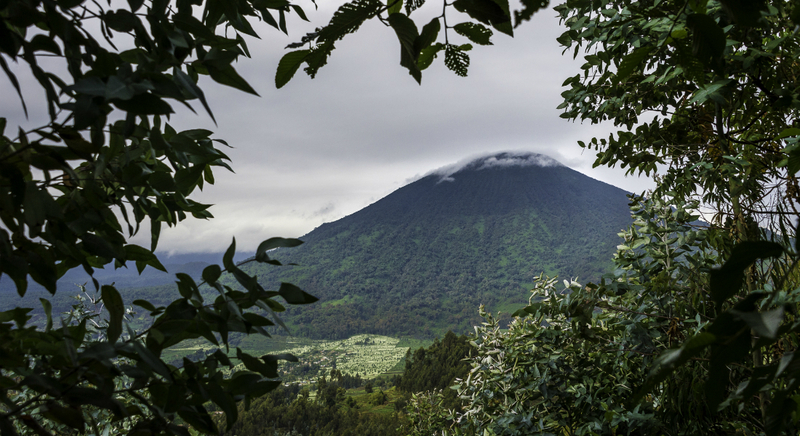 Through gaps in the canopy, it is possible to glimpse the magnificent Virunga peaks — among the highest in Africa. Weaving through overhanging vines, moss-covered hagenia, and giant lobelias, our experienced trackers bring us up close with our assigned gorilla family. Upon sighting the gorillas, we stay with them for one magical hour as they go about their daily life, feeding, playing, resting, and raising their young. Coming face to face with a giant silverback is surely one of the greatest wildlife experiences on earth! After lunch back at the lodge, we drive about 20 minutes to visit the sacred hill of Buhanga, located in the Northern Muhanga District. Called Igihondohondo (meaning "yellow") by the locals due the color of its vegetation, this hill and a small lake at its base played an important role in ancient Rwanda during the coronation of its kings. According to locals, every Rwandan king, from the first (King Gihanga) to the last one (Kigali Ndahindurwa), has bathed in the waters of the lake. For hundreds of years, local residents have refused to cultivate crops or to cut timber in the area, leaving an unusually pristine forest to explore. For bird-watchers, the best time to visit the forest is in the early morning or late afternoon when the birds are at their most active and their songs fill the air. This morning you either enjoy another day of tracking gorillas — no two experiences are ever the same — or if you prefer, another tracking option is available, this time in search of golden monkeys. True to its name, this beautiful primate has a golden body, cheeks, and tail, with contrasting black limbs, crown, and tail tip. Living in social groups of up to 30 individuals, their diet consists mainly of leaves and fruit, although it is believed they eat insects too. Restricted to the highland forest of the Virungas, especially near bamboo, they share this habitat with their relative the mountain gorilla, inhabiting a small area that overlaps the territory of one of the gorilla families. Together, they face the same threats: snares and human encroachment, and are listed on the IUCN Red List of critically-endangered species. Tracking usually takes two to four hours. Once we find the habituated families, we will spend the allowed one hour with them as they go about their daily life; adult males typically frolic in plain view, feeding on bamboo leaves and leaping from perch to perch, while females carry their young, completely oblivious to onlookers. After the hike and lunch back at our hotel, for those who would like, there is the option of exploring the Musanze Caves. Located in the Musanze district and formed over centuries of volcanic activity from the Virunga volcanoes, these caves offer a rare look into Rwandan geology, and are an interesting place to explore. A tour of the 1.25 mile long cave system takes approximately 2.5 hours. 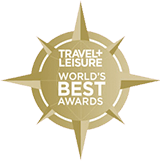 Alternatively, you may choose to simply enjoy a well-earned afternoon of relaxation at the hotel, before our final celebratory dinner tonight. Today, we will transfer back to Kigali in time for flights departing in the mid-afternoon or later. Please note that pricing for 2020 is a good-faith estimate based on 2019 rates. For bookings received prior to 2020 pricing being set, Boundless Journeys will cover the first 5% of any increase in pricing, and will only ask travelers to pay any amount beyond a 5% increase. Boundless Journeys' trips are designed for energetic and flexible individuals who like to be active and have a spirit of adventure and a positive attitude. This trip is rated 3, moderate, on a scale of 1-5 (with 5 being the most strenuous). While in Kigali and on safaris, the activity is easy with walking, boating, and game driving. The days of gorilla and golden monkey trekking can vary from moderately challenging to strenuous. It is difficult to predict, and therefore we suggest you be prepared for two long days of hiking on unpaved and uneven paths through a hilly, jungle environment. Upon arrival of your international flight to Kigali International Airport in Kigali on Day 1 of the trip. Kigali International Airport in time for departures no earlier than mid-afternoon. 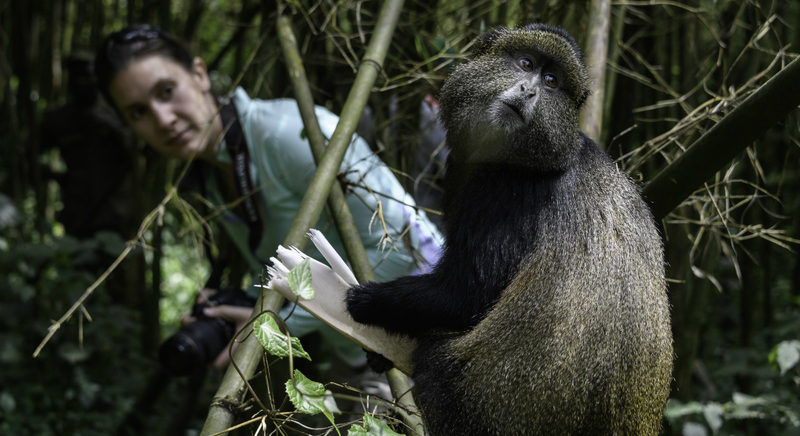 Mountain gorillas and golden monkeys live at high altitude in Virunga Volcanoes National Park. There are eight habituated gorilla families, and each family can be visited by a maximum of eight visitors per day. Viewing time is limited to a maximum of one hour. Gorilla trekking involves walking long distances through thick vegetation, up steep, wet and muddy terrain, which may cause difficulties for some visitors. We recommend you pace yourself: walk slowly and drink plenty of water. For a small fee, porters are available to help you carry your day pack. While in Akagera National Park, we enjoy full and half-day game drives. On most days, we will depart our camp early and spend the morning tracking various animals in our 4WD safari vehicles. Each day is unique and unpredictable, which is why our guides say never put away your camera! Drives may last from a few morning hours to a full day. As we come upon groups of animals, we allow plenty of time to simply observe and also take photographs. Our guides are experienced naturalists and will add greatly to your understanding of the wildlife. We keep a respectful distance - although the same cannot always be said about the animals; it is not unusual to come nose-to-car with zebras, gazelles, and elephants! Other activities in Akagera National Park may include walking safaris and a boat cruise on Lake Rwanyakizinga. 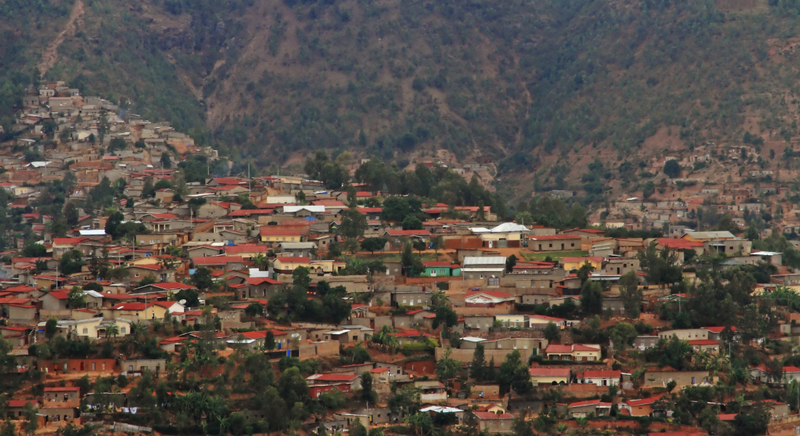 Rwanda's relatively high altitute creates a rather pleasant tropical highland climate, plus its proximity to the equator means that temperatures don't vary greatly month to month. Using Kigali's temperatures as a mid-point, the savanna environment in Akagera can be a bit warmer, while the rainforest habitat of Volcanoes National Park may be a bit cooler. You may obtain more detailed weather information on www.weatherbase.com. Rwanda has two rainy season and two dry seasons. March-May brings heavy, persistent rain, while October-November has short bursts of sporadic showers. December-February and June-September are the dry seasons, although an occasional light sprinkle is possible even during those months. The cuisine of Rwanda is based on the commonly available produce of subsistence farming; namely plaintains, cassava, sweet potatoes, and the like. Chicken, freshwater fish (mostly tilapia), and to a lesser extent, beef and pork, are the main protein sources. Traditional dishes using these ingredients can be found on many menus, blended with international cuisine typically influenced by Indian, Italian, and Asian spices. Vegetarians can be accommodated with advance notice, though choices tend to be more limited. Amos is a native Rwandan, fluent in both English and French, and has been a professional guide since 2004. Over the past decade, he has honed his skills by both working with guests and by furthering his education. He is an avid birder and true enthusiast for East Africa's wildlife and flora. Amos is one of Rwanda's most sought-after guides because of his knowledge and enthusiasm for sharing the wonders and mysteries of his native country. He has taken many happy guests on sojourns through the majestic green hills of the Rwandan countryside and is proud to introduce them to his people, culture, the great apes, birds, and a variety of other African wildlife. Safari activities (game drives, walking, boating) – easy, and forest trekking – moderately strenuous.